If you have any doubt in this kit, please feel free to contact me to solve it better. 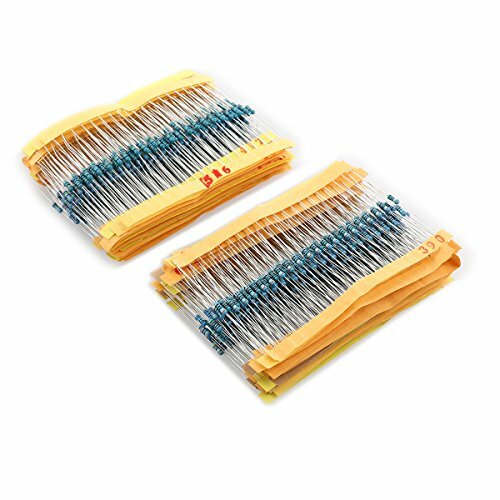 - The item is a set of 1000pcs professional and practical 1/8W metal film resistors with the accuracy of 1%, they consist of 50 values from 1R to 2.7K, and each value has 20pcs identical resistors. 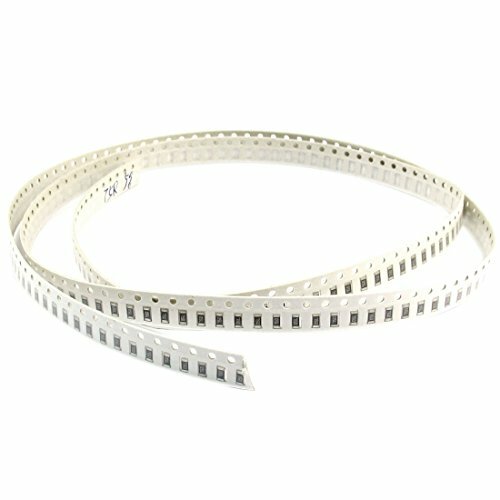 - With high performance and easy to use, it is really a wonderful metal film resistors for choice. Quantity: Totally 1000 pieces (50 values, each value 20pcs). 100% brand new and high quality 50 Values 1/8W Metal Film Resistors Assorted Kit Set. Metal film resistor accuracy of 1%. 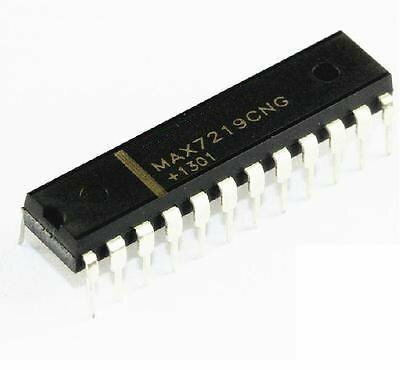 Resistors: 1R to 2.7K (1R, 1.2R, 1.5R, 2R, 2.2R, 3R, 3.3R, 4.7R, 5.1R, 10R, 12R, 15R, 18R, 20R, 22R, 27R, 30R, 33R, 39R, 47R, 51R, 56R, 68R, 75R, 82R, 91R, 100R, 120R, 150R, 200R, 220R, 240R, 270R, 300R, 330R, 390R, 470R, 510R, 560R, 680R, 750R, 820R, 910R, 1K, 1.2K, 1.5K, 2K, 2.2K, 2.4K, 2.7K). 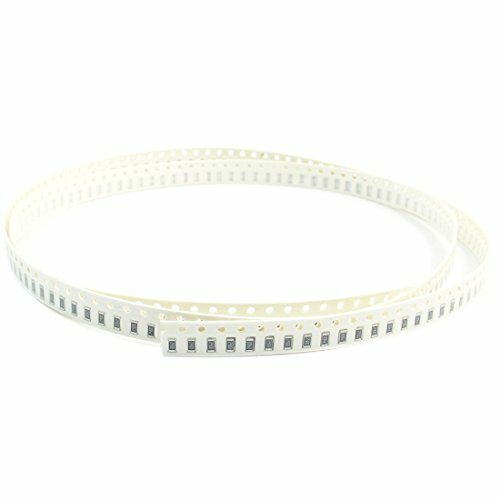 Product Name: Chip Resistor, Mount Type: Surface Mount (SMD SMT). Type: 0805, Resistance Value: 1R - 2.7K. Power: 1/8W, Working Voltage: 150V. Temperature: -55 to +155 , Tolerance: 1 %. 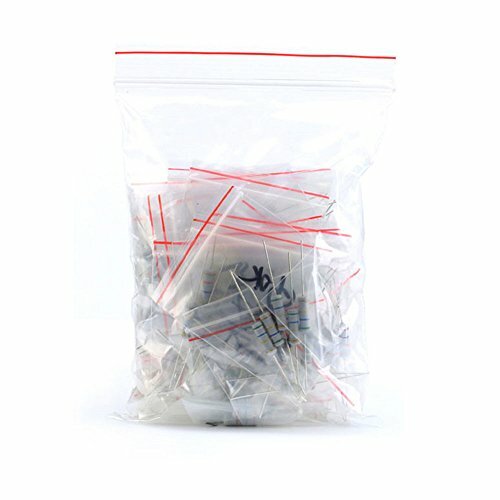 Package Included: 1000 Pcs x chip resistors(Include 50 Values and 20pcs for each value). 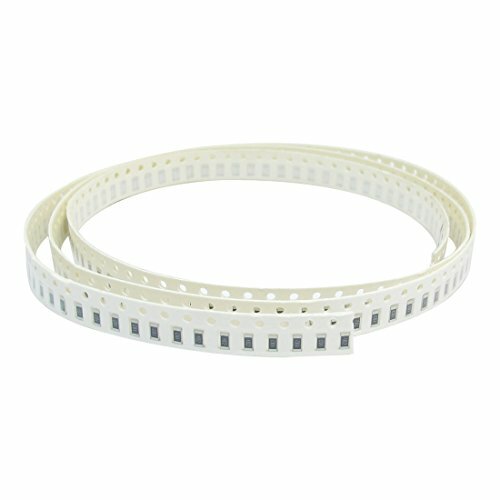 Smd resistor for telecommunications equipments, radio and tape records, TV tuners, automotive industry. 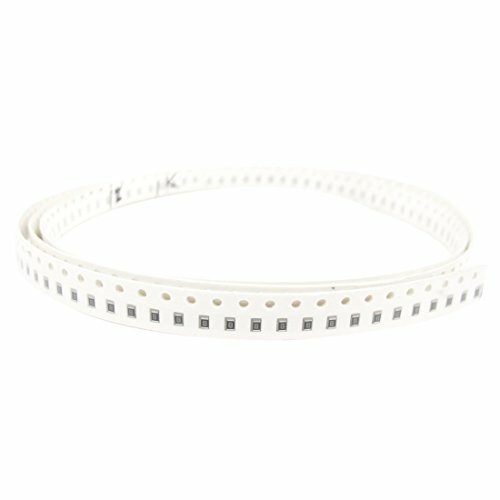 Small size and light weight, surface mount chip resistor. Small size and light weight, Highly reliable multilayer electrode construction, Compatible with all soldering process. 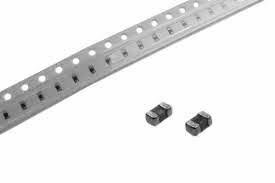 SMD resistor for Telecommunications Equipments, Radio and Tape Records, TV Tuners, Automotive Industry. Surface mount chip resistor. 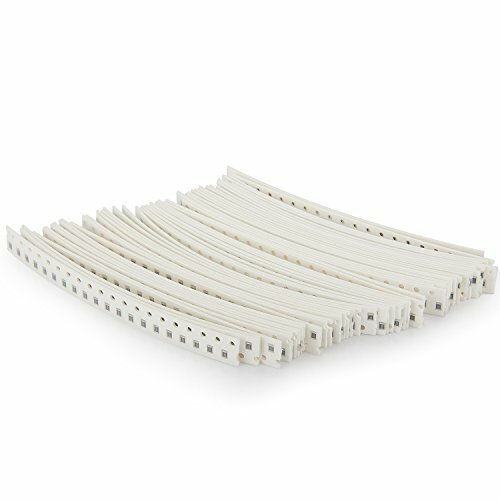 The item is a set of 1120pcs professional and practical 1/4W metal film resistors with the accuracy of 1%, they consist of 56 values from 1ohm to 10Mohm, and each value has 20pcs identical resistors. 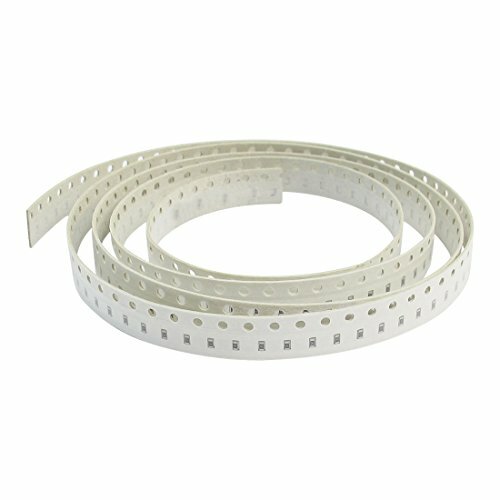 With high performance and easy to use, it is really a wonderful metal film resistors for choice. 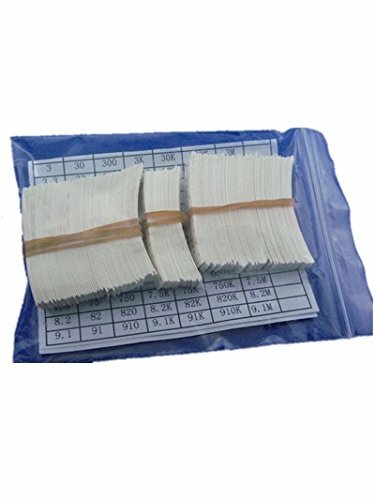 - 1120 pieces of the 1/4W metal film resistors in one set will be sold together. - Quantity: Totally 1120 Pieces (56 Values, Each value 20pcs). 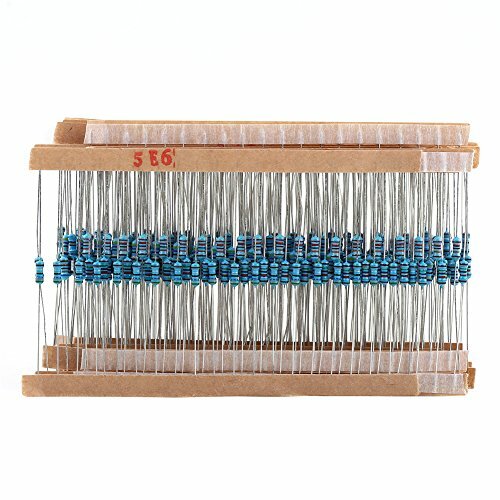 - 100% brand new and high quality 56 Values 1/4W 0.25W 1% Metal Film Resistors Assorted Kit Set. - 1/4W Metal Film Resistor accuracy of 1%. 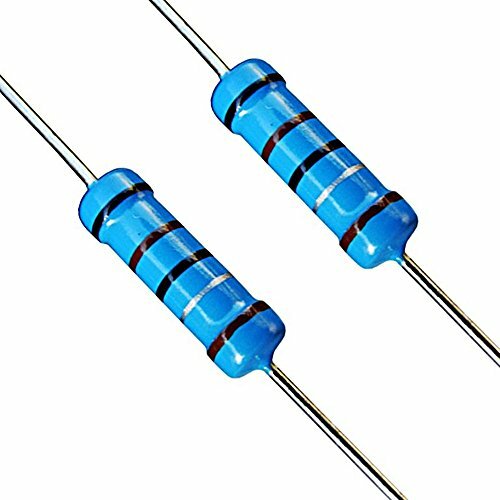 - Resistors: 1ohm to 10Mohm (1ohm, 2.2ohm, 4.7ohm, 5.6ohm, 7.5ohm, 8.2ohm, 10ohm, 15ohm, 22ohm, 27ohm, 33ohm, 39ohm, 47ohm, 56ohm, 68ohm, 75ohm, 82ohm, 100ohm, 120ohm, 150ohm, 180ohm, 220ohm, 270ohm, 330ohm, 390ohm, 470ohm, 510ohm, 680ohm, 820ohm, 1kohm, 1.5kohm, 2.2kohm, 3kohm, 3.9kohm, 4.7kohm, 5.6kohm, 6.8kohm, 7.5kohm, 8.2kohm, 10kohm, 15kohm, 22kohm, 33kohm, 39kohm, 47kohm, 56kohm, 68kohm, 75kohm, 82kohm, 1Mohm, 1.5Mohm, 2Mohm, 3.3Mohm, 4.7Mohm, 5.6Mohm, 10Mohm. 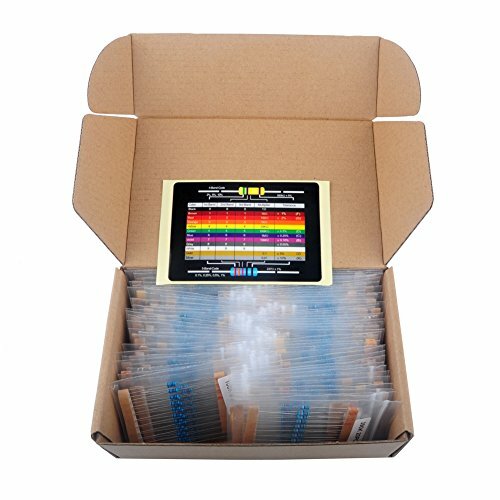 1120 pieces of the 14W metal film resistors in one set will be sold together. Quantity: Totally 1120 Pieces (56 Values, Each value 20pcs). 14W Metal Film Resistor accuracy of 1%. SMD resistor for Telecommunications Equipments, Radio and Tape Records, TV Tuners, Automotive Industry. When components are used up, the book itself could still be reused for your other components. 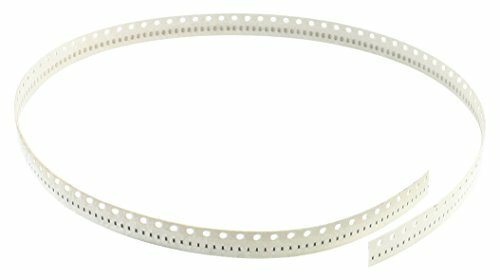 This kit is specially designed to keep surface mount components. 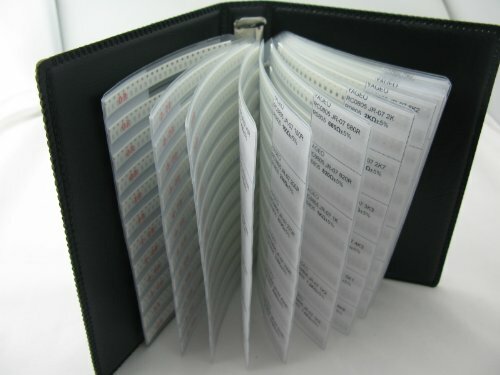 It looks like a book, so we call it a sample book. Small size and light weight, highly reliable multilayer electrode construction, compatible with all soldering process. 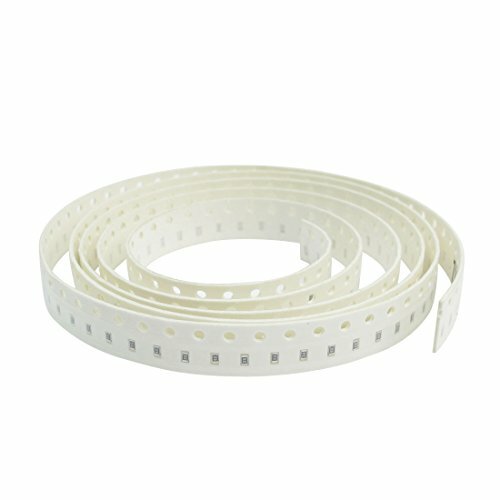 Smd resistor for telecommunications equipments, radio and tape records, TV tuners, automotive industry, automotive industry. Surface mount chip resistor. 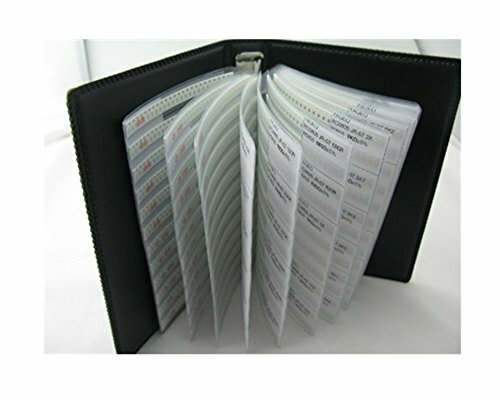 The is a set of 1280 pieces professional and practical 1/4W metal film resistors with the accuracy of 1%. They consist of 64 values from 1ohm to 10Mohm, and each value includes 10 pieces identical resistors. With high performance and convenience to use, they are really wonderful metal film resistors for choice. 1% tolerance, 1/4 watt metal film resistors consist of 64 different values from 1ohm to 10Mohm. 1280 pieces of the metal film resistors in one set will be sold together, get a lot of value, and a huge variety. You could read color bands to identify value and also each value is individually labeled and packed. High precision and stability, sorted by value, so you don't have to sort them which saves you time and labor. If you work with electronics or need to stock your shop, this is a very good component kit to have. L x Dia. : 8 x 2mm / 0.31 x 0.07"
A large amount 1280 pieces of the metal film resistors in one set will be sold together, get a lot of value, and a huge variety to make the job easy for you.The number of 1280 is enough for you to use for a long time, free choice, and choose the type you need. Mark You could read color bands to identify value and also each value is individually labeled and packed to help you read the right resistor. Assortment of frequently used resistors and of curse rarely used resistors; Whatever you need, has been labeled and arranged for you.